Hope you are all okay. I was recently sent the Nelsons Pure & Clear Purifying Facial Wash. As i am very much set in a cleansing routine that i am currently happy with, I handed this one over to the other half to road test on my behalf as he loves trying different facial washes. The facial wash is step one of the Nelsons range of products, has a natural seaweed base and contains tea tree oil which means it would be most effective for blemish prone skin. 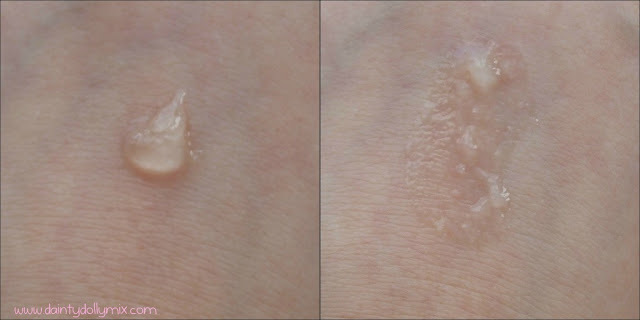 'It is very effective because it is all natural products and doesn't dry your skin out. You don't go shiny after using it and a little goes a long way so it lasts a long time. It is gentle on your skin and keeps skin clear with continued use. I used it once a day before i went to bed which i found was enough. I would be intrigued to try the other products in the range and i would highly recommend'. Nelsons Pure & Clear Facial wash is available to buy from Boots for £7.15 for a 125ml tube (and is currently on 3 for 2). This sounds really great, i really want to try it out now. I need a clarification, does it lighten blemishes over time? May give it a go although face washes always dry my skin out even though my skin isn't dry! I've tried the Nelsons Step 4 Acne Treatment Tablets which contain Sulfur. It didn't clear my acne but it definatelly reduced the redness a lot! I want to try this! Anyway, do hope you'll visit back. :) I'm having an international giveaway at the moment!